Buying gifts for loved ones can be a minefield; men being arguably the most challenging to buy for. With Christmas fast-approaching, gift shopping will soon be at the forefront of people’s minds. To ensure your gift is well received every time, there are three things to consider. 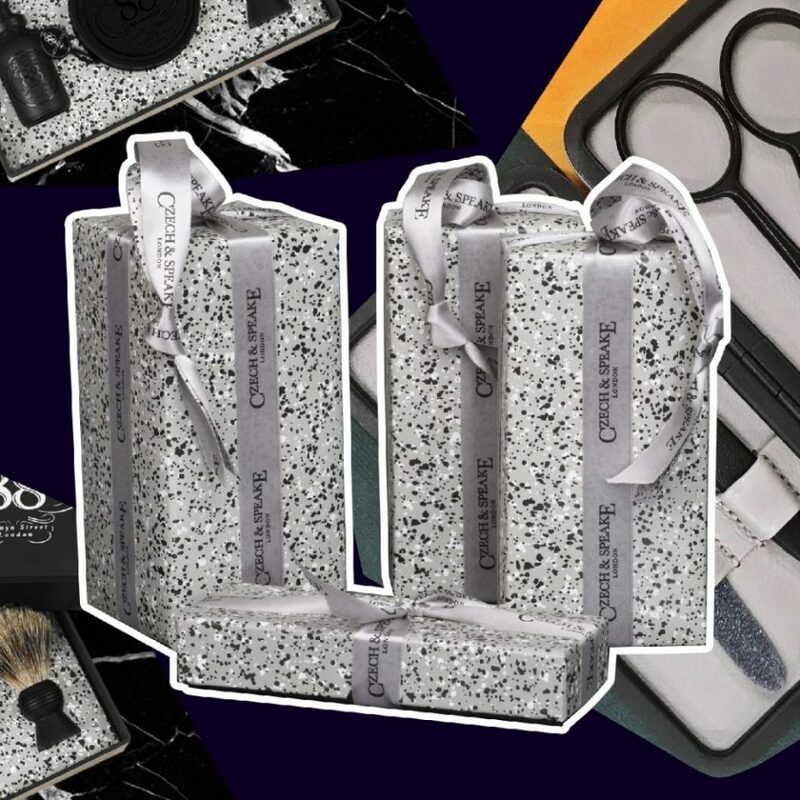 A fresh addition to our famous range of manicure sets for men, held in a handy travel-sized midnight blue, soft-surfaced, leather case with a crisp white interior. 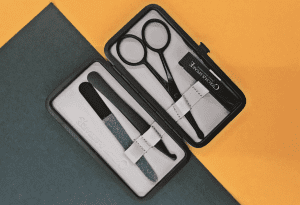 The 4-piece manicure set evokes class and elegance and will definitely be a welcome addition to a gentleman’s grooming collection. It includes slanted tweezers, nail scissors, nail clippers and a nail file. The manicure tools are handcrafted for Czech & Speake in Germany. All have curved edges to conform to global restrictions on hand luggage for air travel. The long-life nail file was developed using extremely high tech and sharp synthetic crystals, which act like microscopic planes in the way they trim and shape the nail edge. The Teflon coating applied to the instruments reduces corrosion to increase their lifespan, while acting as a dirt repellent, producing an extremely hygienic product. If your loved one takes pride in their possessions and appreciates quality and class, then look no further. 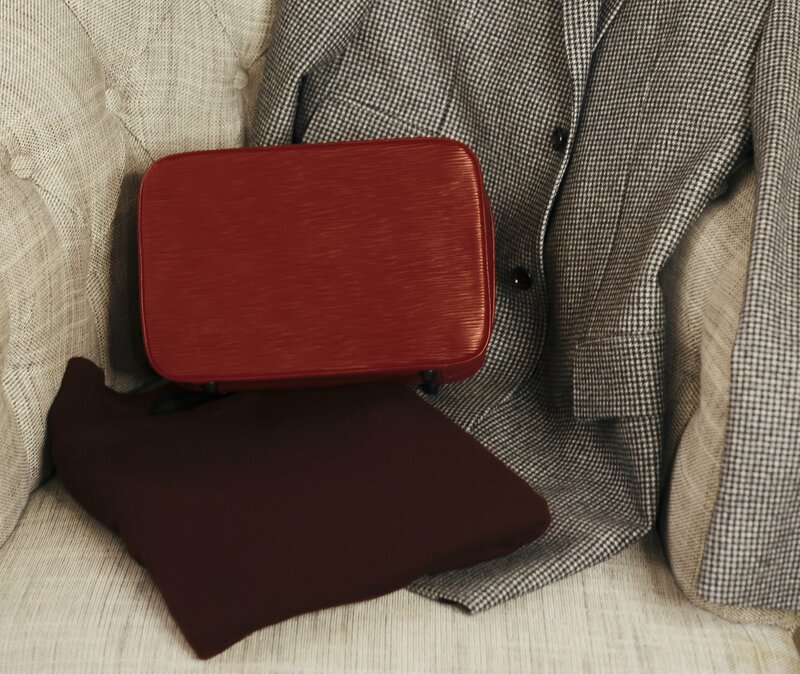 The Three Compartment Gentleman Travel Case has been immaculately upgraded. The new model is architecturally superior, now able to open out flat onto a surface. The stiff leather casing and improved carrying capacity (4.8l) makes it a protective and organised piece of gear for men’s personal grooming – ideal for travelling as it is built to endure a nomadic lifestyle and will last a lifetime. The product is made by craftsmen of an acclaimed Italian leather manufacturer using textured Santa Croce Italian calf leather of the uppermost superiority. The characteristic and fashionable granite interior cloth is of strong durability thanks to the hybrid water-resistant wax, developed exclusively for our products in Scotland. The removable, water-resistant zip pocket has the option of being used as a separate wash bag, practical for the shower. It’s embossed with our Czech & Speake logo to match the large wash bag, and the reinforced insert design creates a more structured storage space. Timeless, classic and elegant in design, the No.88 collection of fragrances, shaving sets and soaps are loved by thousands of people around the world. 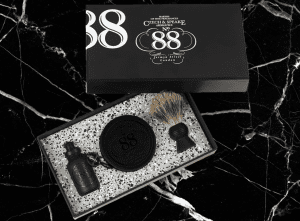 The No.88 Travel Shaving set makes a great gift for men because it is a fragrance and iconic label that makes an impact – the travel shaving set includes a travel sized shaving brush, a dish with 25g soap and 15ml No.88 aftershave shaker. The beautiful scent is powerful, it opens with a sharp fresh gust of bergamot, leading to warm, rich and powerful middle notes of geranium, rose otto, cassia and frangipani, all grounded in a dark, smoky base of vetiver and sandalwood. The aftershave contains mildly antiseptic properties, which helps to close the pores and prevent minor skin blemishes. A perfect gift for men of any age. 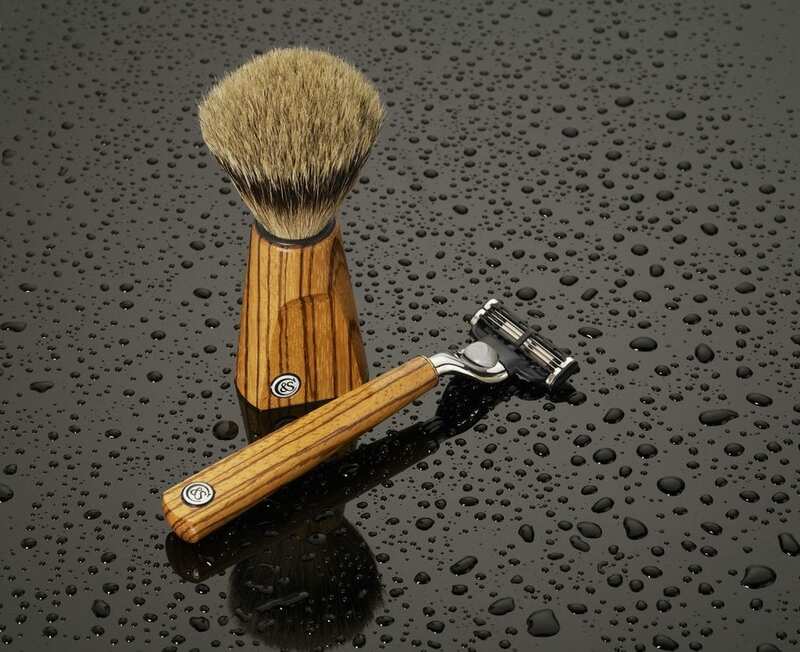 Our newest shave set has been crafted from sustainable tracked Zebrano wood and is known for its figured heartwood. The heartwood is straw-like in colour and uniquely marked with narrow veining or streaks of colour ranging from dark brown to almost black. These streaks give the heartwood a zebra- stripe appearance and its name. Zebrano wood was classically used for boat building and in the production of skis, as it is tough, water resistant and decorative. The razor features a Mach III blade and Silver Tip best badger hair to complete the brush. We’ve got you covered with plenty of choices of elegant and sophisticated grooming gift essentials. To read more about men’s grooming, take a look at our blog providing five essential products for men’s grooming routine.